Under the law of England and Wales, Scotland and Northern Ireland, s hares are items of property and, like any other property, can be sold or given away. The sale or gift will require a transfer of the shares. Shares were developed as a means of allowing a group of people to invest in a business project by buying shares of it. To be an attractive investment, the shares had to be transferable, so that the investor could sell the shares to retrieve their value. So shares are presumed to be capable of transfer, even in a private company, unless the company has restricted the right to transfer them by a provision in its articles, or the shareholder has entered into a contract, such as a shareholders' agreement, not to transfer the shares. The standard form required to transfer shares is a 'stock transfer form', duly stamped with payment of stamp duty (where necessary). 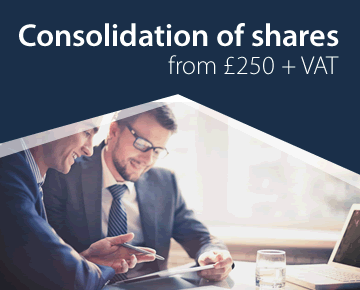 A stock transfer from (in accordance with the Stock Transfer Act 1963) will be a proper instrument for the transfer of any shares in any company in England and Wales, Scotland or Northern Ireland. The shareholder (usually called 'the transferor') provides the transferee with a duly completed and signed stock transfer form and the share certificate in respect of the shares to be transferred. The transferee has the transfer stamped by paying the relevant amount of stamp duty (see below) and then sends the stock transfer form and the share certificate to the company. It is not lawful for a company to register a transfer of shares unless a duly stamped proper instrument of transfer has been delivered to it, or the transfer is an exempt transfer within the Stock Transfer Act 1982. This applies notwithstanding anything in the company's articles. The company decides whether to accept the transfer. This should be done by a resolution of the directors unless the secretary has previously been authorised by the board to accept transfers. The company must accept the transfer unless there is some provision in its articles which restricts transfers or gives the board a discretion to decline them. If a company refuses to register a transfer it shall within two months after the date on which the transfer was lodged with it, send to the transferee notice of the refusal. See Companies Act 2006, sec177 below. If the transfer is accepted by the company, the company will make the necessary entries in the register of members (and, if the company keeps one, the register of transfers) and issues a share certificate to the transferee. The certificate must be available within two months after the date when the transfer was lodged. The company keeps the stock transfer form and the old share certificate (which should have 'Cancelled' stamped or written across it so that it cannot be re-issued inadvertently). No form or notice is sent to Companies House. 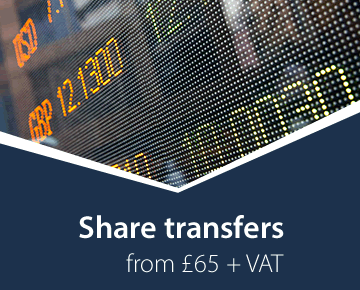 If the transfer is for part only of the transferor's shareholding, and the transaction is at arms' length, the transferor may not wish to part with a share certificate for the larger number of shares. Either the transferor could request the company for split certificates or a "certificated transfer", a stock transfer form certificated by the company to the effect that the certificate has been lodged. This procedure is rarely used in small private companies. The transfer may affect the the identity or details of one or more people who have significant control of the company. Typically, this is where someone become, or ceases to be, the holder of more than 25% of the voting shares, but the rules are much more complicated than that. 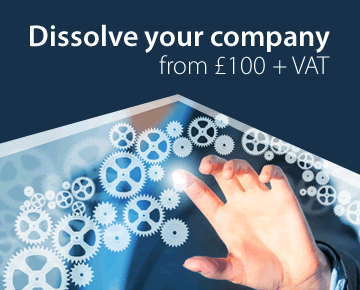 If there is a change, the details must be entered on the company's PSC register and Companies House must be notified. See further Register of people who have significant control (PSC register). Stamp duty is payable on the sale of shares at a rate of 50p per £100 or part thereof. It is payable on the full amount and is subject to a minimum amount of £5. There is no exempt band. 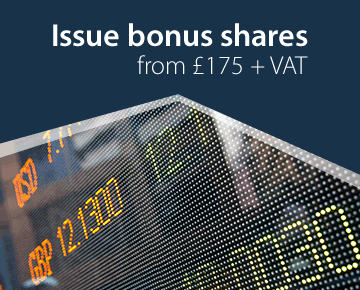 If the shares are transferred for consideration below £1,000 or by way of a gift or settlement, exemption can be claimed by completing and signing the reverse of the form. Stamp duty is paid by taking or sending the form to the stamp office of the Inland Revenue. These will depend on the company's articles. The Model Articles have a restriction, but Table A (from 1981) does not. In practice most private companies will want some control over the transfer of their shares. Provisions vary from a simple power for the directors to decline any transfer (as found in the Model Articles) to pre-emption provisions, free transfers to family members and even provisions for enforced transfer in certain circumstances (e.g. if the shareholder ceases to be a director). Having the right provisions in the articles can be vitally important. Company Law Solutions can advise and draft any required provisions. as soon as practicable and in any event within two months after the date on which the transfer is lodged with it. (2) If the company refuses to register the transfer, it must provide the transferee with such further information about the reasons for the refusal as the transferee may reasonably request. This does not include copies of minutes of meetings of directors. (b) in relation to the transmission of shares or debentures by operation of law. There may be other provisions, e.g. that shares are freely transferable to other members, or members of the family (defined) of the shareholder, but that other transfers may be refused by the directors. There can be provisions that a person who ceases to be a director has to transfer their shares.